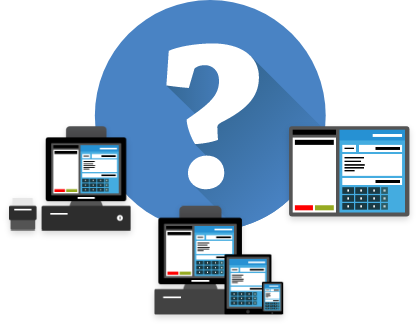 What POS devices do I need? Speed and convenience are huge factors for the modern consumer and if your business depends on slow and unreliable equipment or lengthy, manual processes, you’re at risk of being left behind your competitors. POS devices will streamline your daily operations and improve the quality of the service you deliver. This is the computer system that runs your chosen software and can be a PC that is operated by a touchscreen or keyboard, or it could be a tablet such as an iPad. Many cash drawers can now be integrated with an EPOS system so that they automatically open at the right point in the transaction, but you may prefer to opt for a simpler model that opens with a key. 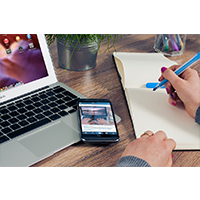 Whether you choose a PC or a tablet operating system you will need to decide if a keyboard or touchscreen is best for your business. A touchscreen generally takes less physical space and enables more efficiency and flexibility. However, a keyboard requires less maintenance and may be perfectly adequate for smaller businesses. The modern consumer expects to be able to pay using a debit or credit card and if you aren’t able to accommodate, there’s a chance you’re discouraging repeat business. As with all the POS devices your choice of card reader will depend on your business. An independent retailer may need a single countertop card reader while a restaurant may prefer to use multiple mobile devices to enable staff to take table-side payments. If your system is iPad based then you may also be able to take payments wherever the customer is via payment apps rather than traditional card readers. Another option is to introduce self-service portals where your customers are guided through the sales process via prompts and can complete the transaction with no staff interaction. The development of contactless and NFC (Near Field Communication) payments, such as using a smartphone app rather than a card, have taken convenience and simplicity to the next level. A customer facing display can make a real difference to the customer experience. A display can range from a simple digital screen that displays the prices of individual products as they are input and the final total at the end, or can be programmed with key phrases such as ‘Next customer please’ or ‘Thank you’. At the more advanced end of the scale are multimedia displays which are full colour screens displaying branding, special offers, images or promotional videos. A barcode scanner enables quick and accurate transactions, removing human error from the process. Barcode scanners can be wired to your central EPOS till or can be wireless which is great for barcodes in hard to reach places or for counting stock away from the shopfloor. While a receipt printer may sound simple, there are options to think about such as using thermal technology rather than ribbons or ink. Thermal technology can be more expensive but eliminates the problem of faded, hard to read receipts over time and the reordering of ink. If you work in a fast-paced sector like a fast-food outlet or bar it’s important to consider how sturdy the machine itself is; can it keep up with the fast turnover of customers, withstanding a few knocks and the odd spillage? Depending on your software you may also be able to programme the printer to produce receipts branded with your logo or customised with special offers which will enhance customer engagement. A barcode printer can save you a huge amount of time in labelling your products uniformly and accurately. A barcoding system also creates a more efficient final check-out with no need to manually type in long product codes or prices. An order printer is ideal for businesses that rely on communication between front and back of house. You enter the customer’s order into your EPOS system and it is instantly printed out in the kitchen or bar, saving your front of house team repeated trips to the kitchen, giving them more time to focus on the customers and reducing the opportunity for human error. Businesses that sell products by weight will benefit from an electronic scale providing instant and accurate results every time. Scales can be purchased as a standalone piece of equipment or can be integrated with the rest of your EPOS system to calculate prices automatically.